A deluxe retelling of the cult classic film packed with tons of original bonus content. 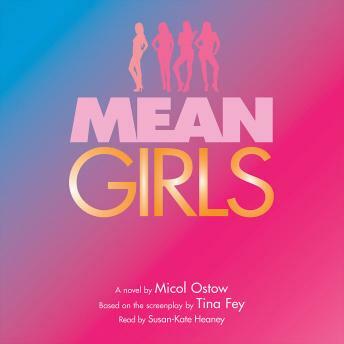 It gave us phrases like "That's so fetch," and "You can't sit with us!" It made October 3 a national holiday, and inspired teen girls everywhere to wear pink on Wednesdays. You know the story -- or do you? Cady Heron grew up homeschooled in Africa with scientist parents as her teachers, monkeys as her classmates, and the African plains as her playground. But when her family moves to the suburbs of Illinois, she finds herself a stranger in a strange land: high school. With no prior research to guide her, Cady's forced to figure out North Shore High all on her own. Suddenly she finds herself sucked into Girl World as a new member of the social elite dubbed "The Plastics." Cady discovers that unlike the wild, Girl World doesn't have any rules -- especially when you maybe, possibly, okay definitely, have a giant crush on their ruthless leader's ex-boyfriend. Turns out, life in high school might be even more brutal than a showdown on the Savannah.